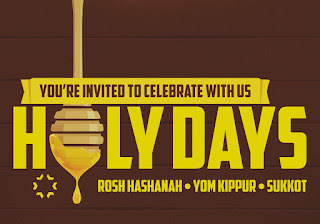 Rosh Hashanah means “Head of Year” and it is a time to celebrate a new year on the Jewish Calendar. Biblically, we call this day Yom Teruah or “Day of Trumpets,” and it is a day for sounding the Shofar. We treat this day like Shabbat and it is a day of rest and worship. So, we gather together to celebrate all that God has done in the last year and all He will do in the new year! Join us Monday, September 10 at 10:30am. 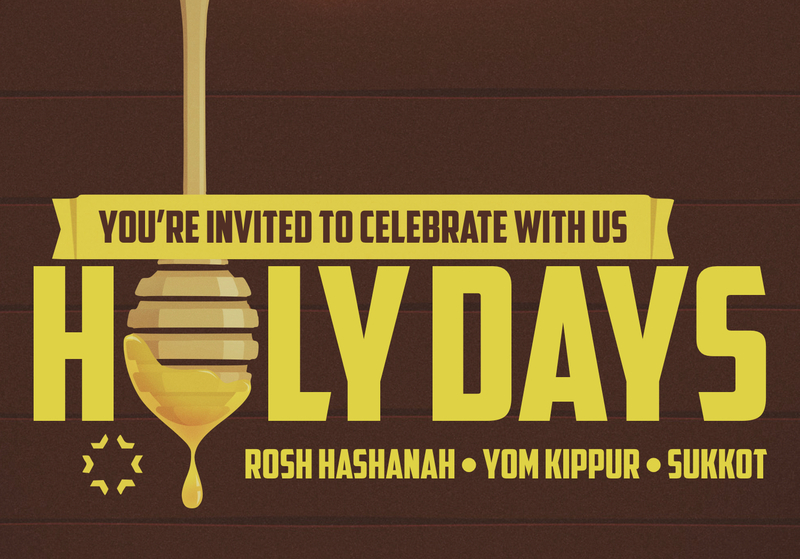 Erev Rosh Hashanah kicks off the whole High Holy Day season. 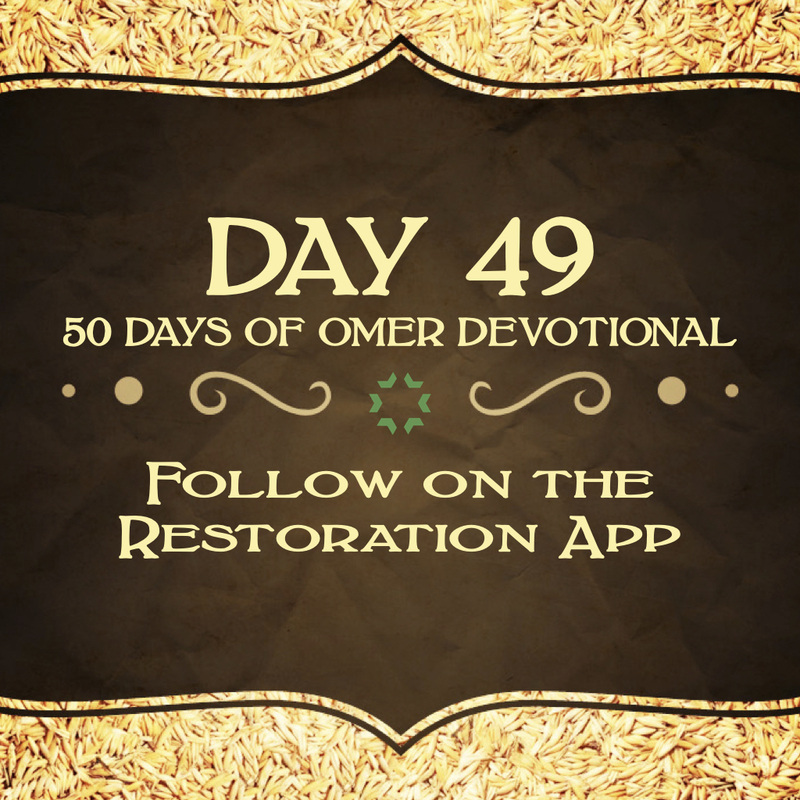 We gather to worship, hear from the Bible, sound the Shofar, and focus on the season of repentance. Then we celebrate following the gathering with the Apple After Party, a time of fellowship and enjoying all kinds of apple desserts and drinks to bring in a sweet new year! Join us Sunday, September 9 at 7:00pm. 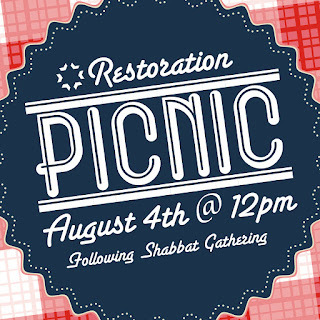 Join us for a summer picnic by the lake behind our building, following the Shabbat Gathering! There will be food, swimming in the lake, and immersions for those interested. (If you are interested in being immersed, contact our office: info@shalomseattle.com). Bring a dish to share as we celebrate summer and also honor some of the outstanding people that serve our community. We hope to see you there! Restoration's trip to Zimbabwe planned for this July has unfortunately been cancelled. The reason for this is that Zimbabwean elections were recently announced as taking place during the time of our team's trip, and Jewish Voice Ministries was asked to cancel the medical clinic. We were disappointed to hear this, and it's sadly beyond anyone's control. However, we are looking into doing another trip with Jewish Voice either before the end of this year, or at least by summer of next year. We will keep everyone posted as we hear more information on this future trip. And especially to our Restoration community, thank you so much for your donations and prayers! There will be no Men's Connect Group meeting tonight - Tuesday, May 29. 1 When the day of Shavuot had come, they were all together in one place. 2 Suddenly there came from heaven a sound like a mighty rushing wind, and it filled the whole house where they were sitting. 3 And tongues like fire spreading out appeared to them and settled on each one of them. 4 They were all filled with the Ruach ha-Kodesh and began to speak in other tongues as the Ruach enabled them to speak out. 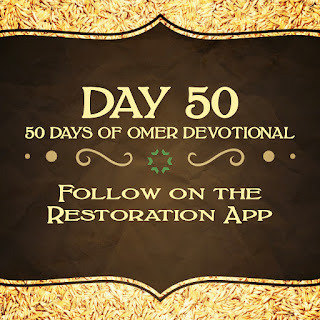 5 Now Jewish people were staying in Jerusalem, devout men from every nation under heaven. 6 And when this sound came, the crowd gathered. They were bewildered, because each was hearing them speaking in his own language. 7 And they were amazed and astonished, saying, “All these who are speaking—aren’t they Galileans? 8 How is it that we each hear our own birth language? 14 But Peter, standing with the Eleven, raised his voice and addressed them: “Fellow Judeans and all who are staying in Jerusalem, let this be known to you, and pay attention to my words. 15 These men are not drunk, as you suppose—for it’s only the third hour of the day! 17 ‘And it shall be in the last days,’ says God, ‘that I will pour out My Ruach on all flesh. Your sons and your daughters shall prophesy, your young men shall see visions, and your old men shall dream dreams. 18 Even on My slaves, male and female, I will pour out My Ruach in those days, and they shall prophesy. 19 And I will give wonders in the sky above and signs on the earth beneath— blood, and fire, and smoky vapor. 20 The sun shall be turned to darkness and the moon to blood before the great and glorious Day of Adonai comes. 23 this Yeshua, given over by God’s predetermined plan and foreknowledge, nailed to the cross by the hand of lawless men, you killed. 24 But God raised Him up, releasing Him from the pains of death, since it was impossible for Him to be held by it. 25 For David says about Him, ‘I saw Adonai always before me, for He is at my right hand so that I might not be shaken. 27 because You will not abandon my soul to Sheol or let Your Holy One see decay. 29 “Brothers, I can confidently tell you that the patriarch David died and was buried—his tomb is with us to this day. 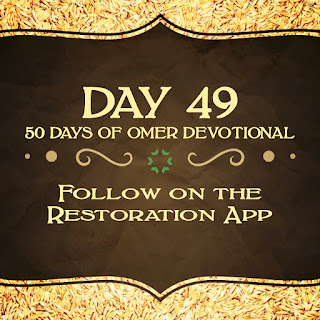 31 David saw beforehand and spoke of Messiah’s resurrection—that He was not abandoned to Sheol, and His body did not see decay. 32 “This Yeshua God raised up—we all are witnesses! 33 Therefore, being exalted to the right hand of God and receiving from the Father the promise of the Ruach ha-Kodesh, He poured out this—what you now see and hear. 41 So those who received his message were immersed, and that day about three thousand souls were added. 42 They were devoting themselves to the teaching of the emissaries and to fellowship, to breaking bread and to prayers. 43 Fear lay upon every soul, and many wonders and signs were happening through the emissaries. 44 And all who believed were together, having everything in common. 45 They began selling their property and possessions and sharing them with all, as any had need. 47 praising God and having favor with all the people. And every day the Lord was adding to their number those being saved. By the time the event of Acts 2 had occurred, many things had changed in the lives of the disciples. Yeshua had been executed, resurrected, and had ascended into heaven. The disciples had lost their leader, and were waiting for instructions on what to do next. Instead of allowing depression or confusion to enter into their minds, they banded together. They prayed and waited patiently for what was coming next. It is certain that they didn't expect the way that God had showed up, but after it was over, there was no doubt that this was what they were waiting for... The next step had come, and it would change not only their lives but countless others from that moment on. As we reflect on what this means, it is important to realize that God wants to work the same way through us. He wants to send His Spirit in a new and powerful way so that lives will be changed, hearts healed, and souls coming to know Him. The possibilities are endless. 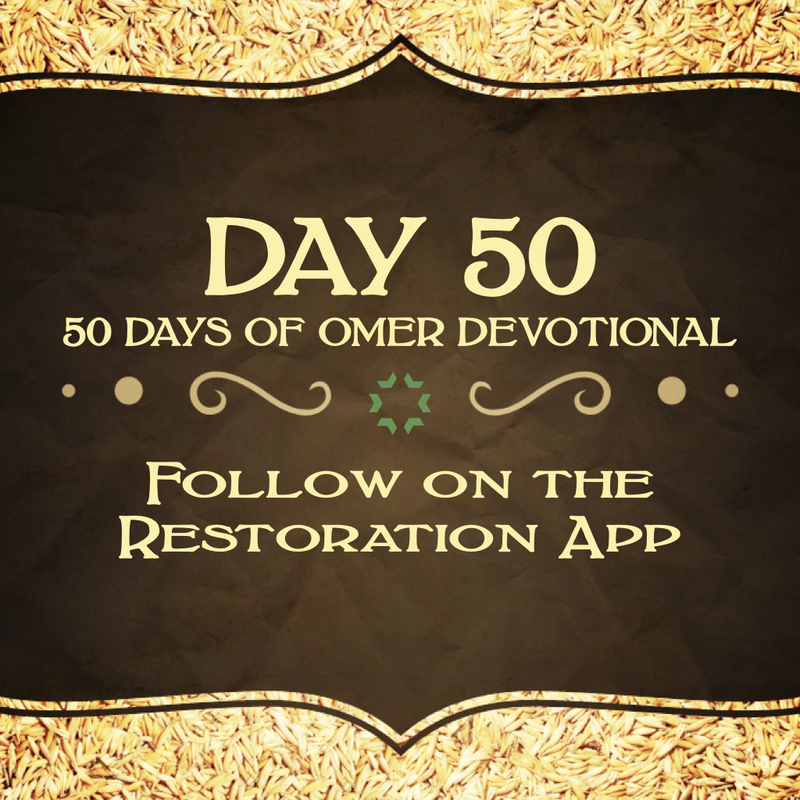 Prayer: Lord, I want to experience Your Holy Spirit like the disciples did. Help me to be patient and wait for You when I don’t know what to do. In Yeshua’s name, amen. 1 A Song of Ascents. Of David. Behold, how good and how pleasant it is for brothers to dwell together in unity! 2 It is like the precious oil upon the head, coming down upon the beard—Aaron’s beard—coming down on the collar of his robes. 3 It is like the dew of Hermon, coming down upon the mountains of Zion. For there Adonai commanded the blessing—life forevermore! Restoration is made up of many different kinds of people; people of different ages and backgrounds. For us to become the kind of congregation God wants us to be we must have unity! Here the psalmist is talking about a different kind of goodness than what we get from pleasure or food. He’s talking about the goodness of God we experience when we are one people headed in one direction. When we crucify our flesh and love one another unconditionally, this goodness becomes plain to see for not only those in our community, but those outside it as well. When they see God’s goodness, they will want it in their lives as well! Prayer: Lord, help us to be one people who are headed in one direction. Help us to seek unity regardless of any differences we might have. Help us to be unified, and to use that unity as an attractional force to draw people far from You near! In Yeshua’s name, amen!